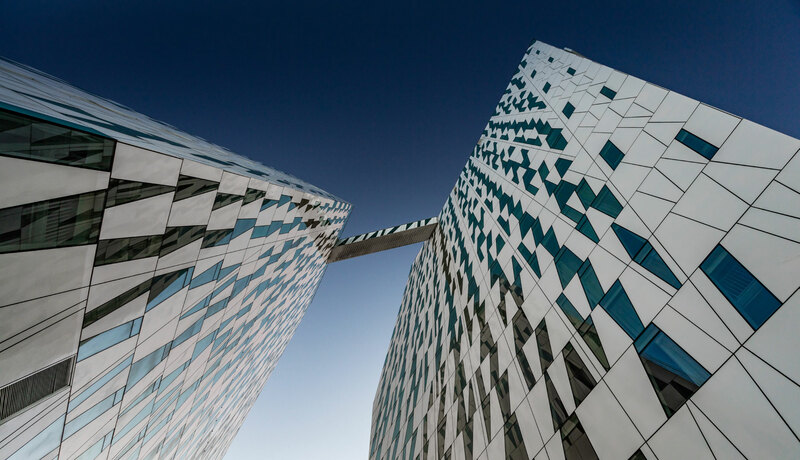 The landmark building of AC Hotel Bella Sky Copenhagen is a stylish and "hyggeligt" home away from home for pleasure and business travellers alike. Stunning architecture, incredible city views and contemporary Danish design provide the perfect backdrop for a vibrant and classy Copenhagen visit. 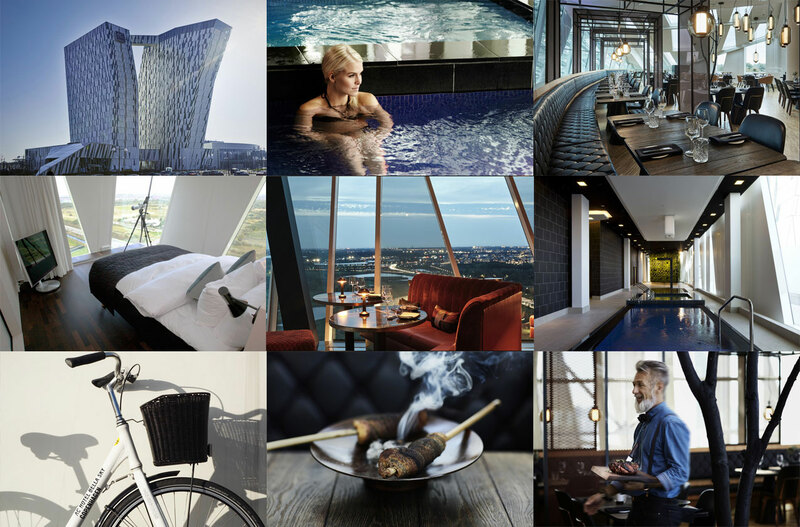 Lonely Planet named Copenhagen as the Best City to Visit 2019 and furthermore, the Danish travel industry voted and selected AC Hotel Bella Sky as Best Hotel in Copenhagen 2018. Experience our no-nonsense Nordic cuisine at BASALT, where everything is created around the open fire or enjoy fantastic Japanese inspired food at the topfloor restaurant SUKAIBA with stunning panorama views of Copenhagen. Top off with a relaxing massage, scrub or simply just a soak in the Bella Sky Spa. It just doesn't get any better than this - and we guarantee, that you will feel revitalized, refreshed and ready to go back to busy everyday life. GET YOUR FAVOURITE "BEST CITY-BREAK" TODAY - OR SCROLL DOWN TO SEE MORE ABOUT WHAT MAKES THIS HOTEL SO SPECIAL. At AC Bella Sky Copenhagen you can spend all day just finding new fantastic “Instagram-spots” within the hotel. Whether it is the view, the design furniture, the creative food, the spa, the live plant walls or a glimpse of the window cleaners rapelling on the outside of the building, it’s all Instagram-able. Of course, you can also do as most guests, and look for the most spectacular way to photograph the two towers - both leaning 15 degrees – from the outside. AC Hotel Bella Sky Copenhagen is a distinct landmark in Copenhagen’s spectacular new architectural area Ørestad – an upcoming community crammed with award-winning residential buildings designed by renowned architects, Scandinavia’s largest shopping centre and the multifunctional Royal Arena. What makes the location even more special is that it is only 10 minutes from the city centre and still right next to the large nature reserve Amager Common with wetlands, unspoiled nature and wildlife – the sort of natural area rarely found so close to the heart of a metropolis like Copenhagen. 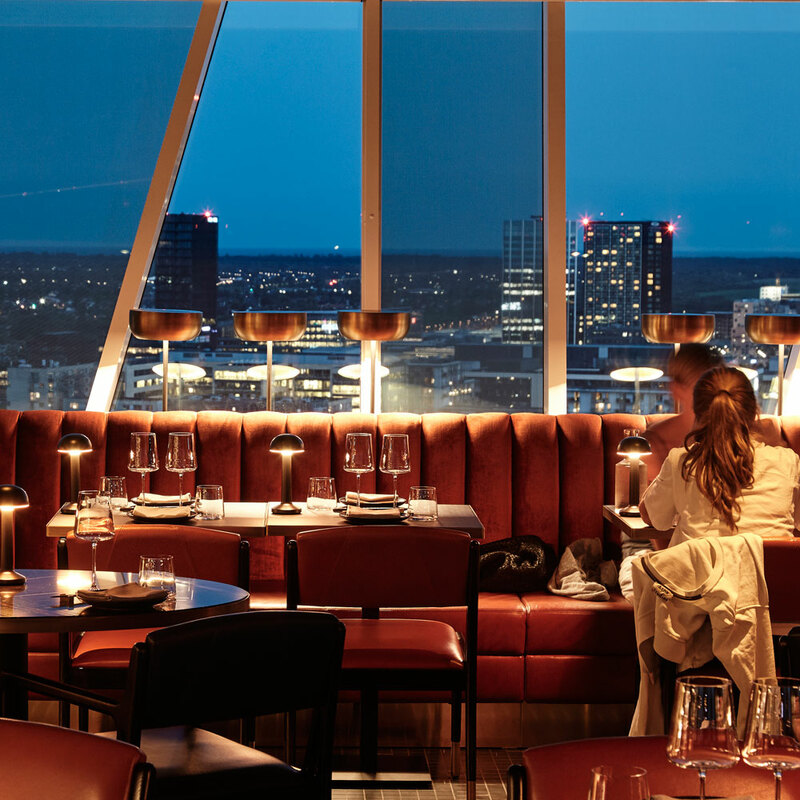 When you step out the elevator on the 23rd floor of AC Bella Sky Copenhagen, you are entering a restaurant that a food critic described so well with only two words: Simply “wow”! The penthouse-restaurant SUKAIBA opened in August 2018 and has in no time become one of Copenhagen’s gastro hotspots. Here you can enjoy the best Japanese inspired cuisine based on local ingredients, the international atmosphere that has been described as a “scene from Lost in Translation”, exquisite cocktails, a breathtaking view – and the rarity, a cigarlounge with stylish furniture and a perfect view of the city and the neighbouring golf course. 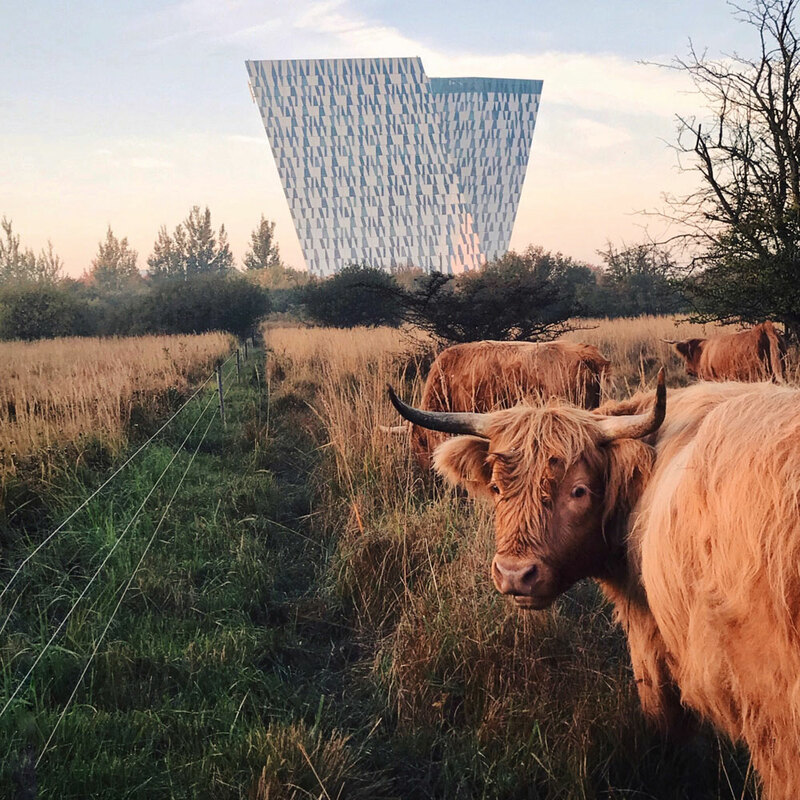 Staying at the AC Hotel Bella Sky Copenhagen places you in the heartof the new and upcoming district Ørestad, crammed with modern design and architecture as well as unspoiled nature and wildlife. And you are only minutes away from the international airport and downtown Copenhagen. Downtown Copenhagen is the ultimate hygge-destination. A beautiful juxtaposition of historic and modern buildings and architecture, a true shopping mecca and a perfect spot for getting hold of traditional Scandinavian design and fashion. The local Copenhageners use their city to the fullest, particularly during the summer months as public areas, parks and squares become venues for concerts, pop-up restaurants, festivals and countless cultural experiences. And of course, you shouldn't miss out on the well known attractions like the Tivoli Gardens, the scenic harbour front including The Little Mermaid, Strøget and top-museums and historic palaces and much more. Go swimming in the harbour: In Copenhagen, the harbour is so clean that you can actually swim in it. In the city center you will find several popular harbour baths and a number of possibilities for water sports, kayaking and boat trips. As with hygge the Danes simply love the water - even public transportation is available with harbour buses.